Revealing some comprehensive research on the effectiveness of hashtags on Facebook we uncover examples of good and bad practice. This 16 minute Masterclass looks at what actual users do with hashtags that is far removed from Facebook’s intended purpose and show how one celebrity got it totally wrong. 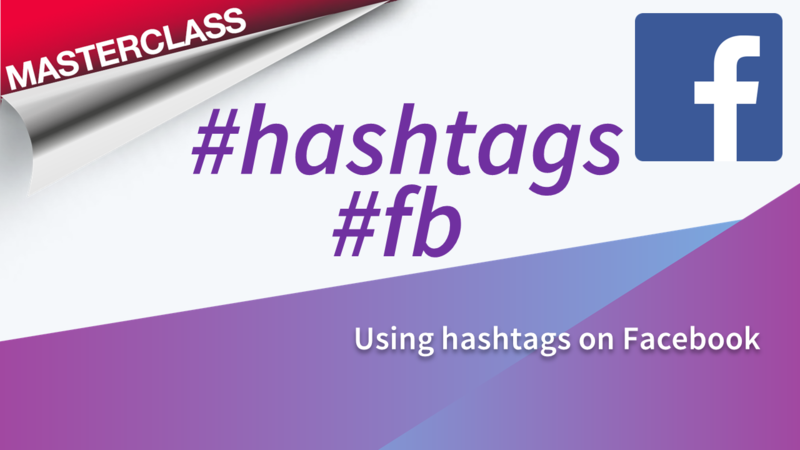 We also include advice on researching hashtags, when and where to include them and explain why hashtag usage on Facebook is very different to Twitter and Instagram.